With diverse gas flow measuring devices SICK provides solutions for a wide variety of measuring tasks - from calculating volume flows in processes, custody transfer applications in natural gas industry, environmental monitoring of plants, on test stands in automotive industry and many others. 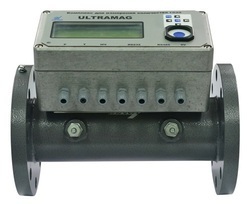 Ultrasonic wall-mounting Clamp-on Flow meter provides abundant capabilities for accurate liquid flow measurement from outside of a pipe. Scientfic Devices Bombay Pvt. Ltd.
We are manufacturer of Flow meters . 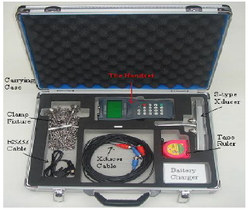 Ultrasonic Doppler Flow Meters measure the flow of liquids that contain sound reflectors - suspended solids or gas bubbles - greater than 35 micron size. Software automatically adjusts filtering parameters and gain settings so that reliable readings are ensured over a wide range of liquid and reflector conditions.